of the Valiant Comics And Catalyst Game Labs team-up for a new RPG. Today over at drivethrurpg the free quickstart to those rules and system have been released. Can I play Solar and use my wish powers? 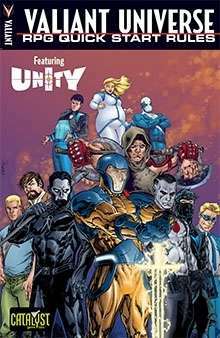 Solar is no longer a part of the Valiant universe. Another company has the license to use that character. The same goes for Magnus, Turok and any of the other old Gold Key characters. Valiant just had the license for them back in the day.